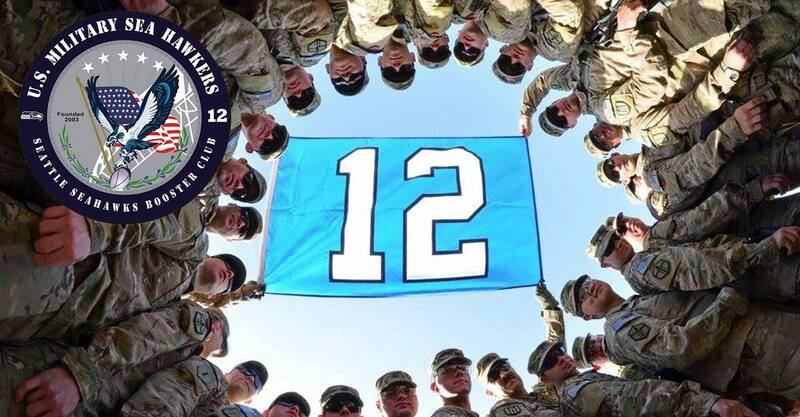 The Washington National Guard covers a Chinook with a 12 flag to show their support for the Seahawks. If you’re in the Seattle area and your calendar is free over the next three days there are plenty of great events going on. One thing you’ve probably heard already: the Seahawks are playing the NFC Championship game at home for the second straight season. It’s kind of a big deal. Starting Friday, there are a series of 12 rallies starting at 6pm. On Saturday at noon you have the 7th Annual All Club Chili Cook-Off and 12th Man Rally. That evening, Craig Gass is performing two Seahawks themed comedy shows at the Neptune Theatre. I reserved my tickets for the 9:30 show Saturday evening. If you haven’t heard of him, he’s a comic who is a huge Seahawks fan and he has donated 40+ tickets to each of his shows Saturday night through Vettix. If you’re not a member of Vettix yet, please sign up via our referral link. It’s a nice way to get free (or nearly free) tickets to concerts, comedy shows and other events all over the country. If you missed the game last week, the Seahawks once again pulled away in the fourth quarter to win 31-17. Up 24-10, Kam Chancellor put the game away with a 90-yard interception that put Seattle on top 31-10. Carolina rallied for some points at the end, but the Seahawks always looked in control of that game. Aaron Rodgers and the Packers come back to Seattle after kicking off the season here. Rodgers looked extremely limited against the Cowboys and was not accurate until the fourth quarter when he took the game over. He was able to lead Green Bay to 26 points at home, but the Packers aren’t at home and this isn’t the Cowboys defense. If you’re going to be at the game on Sunday, remember kickoff is an hour earlier at 12pm. We’ll look to be at the same tailgate spot as last week: 1531 Utah Ave. S. Check our Facebook page the morning of gameday to verify. I’ll bring along some Military Sea Hawkers hats ($25), coins ($15), patches ($10) and Sea Hawkers Podcast stickers (free) if anyone is interested. The Seahawks take on the Packers on Sunday and you can find it live on AFN and DTS Sports. The NFC Championship game will also air via tape delay. Tune in at 1200 PT, 2000 GMT and 0030 in Afghanistan to catch it live and it re-airs at 0400 PT, 1200 GMT and 1630 in Afghanistan.